Kelowna mole removal is a relatively fast and painless procedure that is performed using some of our most modern lasers or minor surgical methods. If you have been frustrated by moles and skin tags anywhere on your body, please contact us for a consultation. 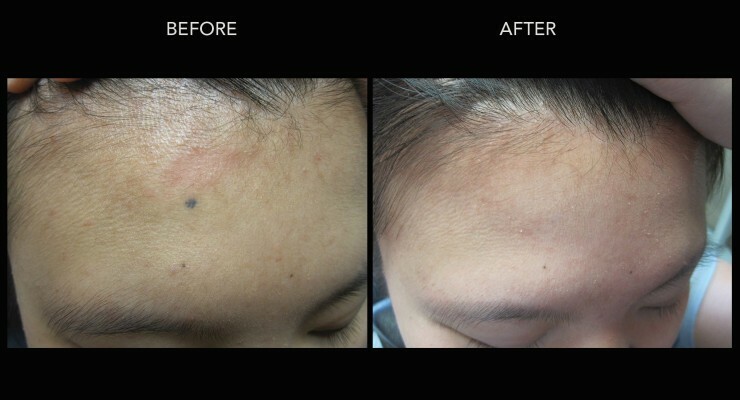 We can remove these spots completely with minimal trauma to the skin. Moles and skin tags are growths that occur on the skin in a variety of colours. 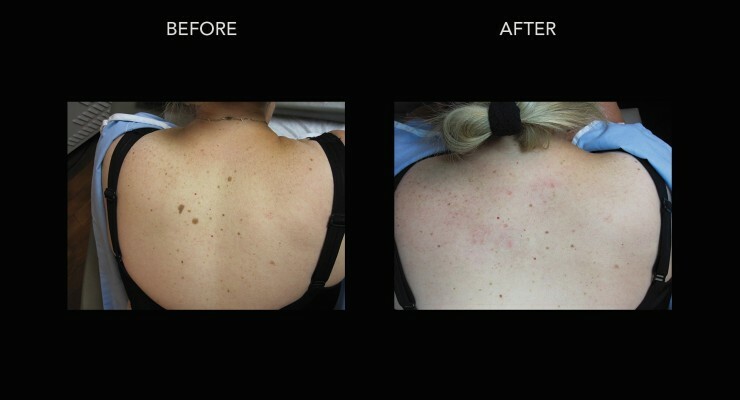 You can see some examples of the skin tags that we have treated in the before-after gallery just before. They are often pink, tan or brown. Skin tags protrude from the skin which can cause a person to feel uncomfortable or self-conscious. These spots occur when there is a growth of pigmented cells called melanocytes close to one another. They can either be a discoloured spot on the skin or can grow out into tags. Depending on the form this growth takes they are either called a mole, nevi or skin tag. Moles, nevi and skin tags are relatively simple to remove for physicians with a lot of experience. The method, however used depends on the location and type. 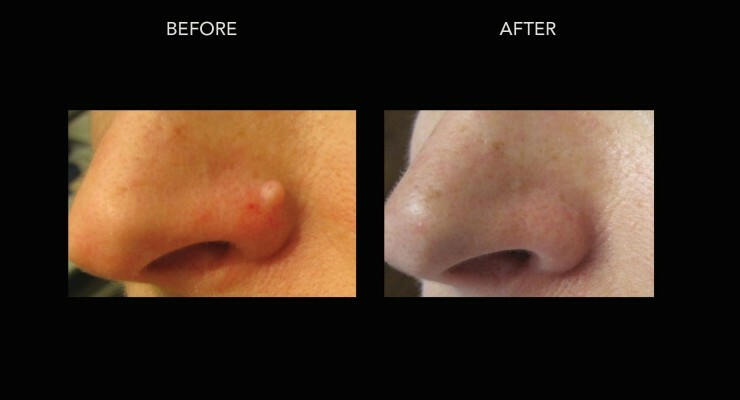 Moles can be removed using laser excision or a surgical excision. We may choose to recommend one method or the other during your consultation, but regardless of the method, mole removal is a relatively simple outpatient procedure. Skin tags are often removed with a laser that targets the water molecules in the skin tag base. 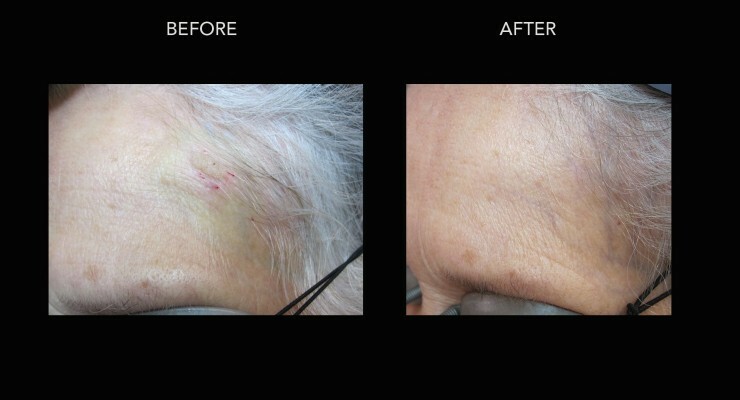 Our lasers are specifically designed for this kind of close work, so a laser can often be used to remove only the skin that needs to be removed—minimizing healing times. 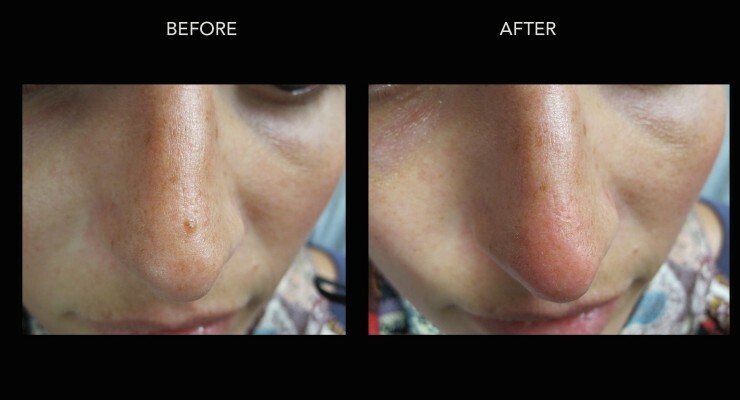 For areas that are just pigmented but not raised a pigment specific laser can be used to fade the pigment. Dr. Crippen can tell you which cosmetic skin procedure is best during the consultation. If you've had a mole for a really long time is there still a point in treating it? Does it ever become too late? Is it harder to remove the longer you've had it? 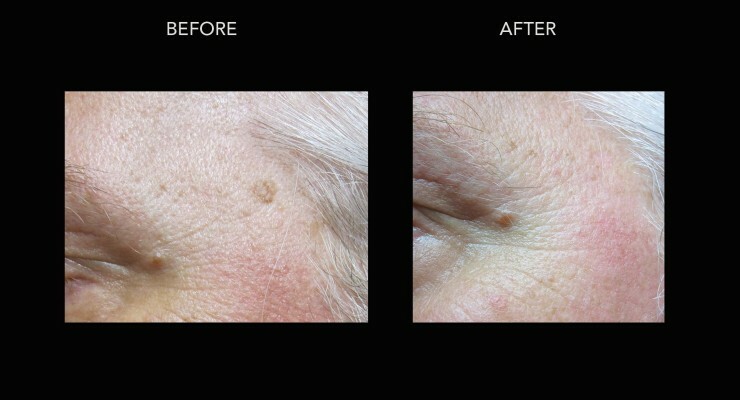 Moles are simple and straightforward to remove regardless of how long you’ve had them. To remove a mole the base of it is cut out and then sutures are used to close the cut. It usually leaves a small white line as a scar. I have a lot of moles in a certain spot on my skin. Does that present a health problem I should be worried about? There are lots of different types of moles and locations of moles. Some moles can present the risk of cancer. You should be weary of a mole that has changed or is larger than a quarter. A doctor would be able to tell you whether you should be concerned upon seeing the mole. Removing a mole eliminates the risk of cancer. A mole can also be biopsied after removal to determine whether it was benign or potentially cancerous. What is the recovery time for skin tag removal? If I have a lot of them in one place how long will it take to recover and what will that involve? Does it result in scarring? It depends on the size of a skin tag how long it takes to recover. Usually it takes a few weeks for the skin to heal but this depends on the person. The area may be red for a longer period of time than what is needed for basic healing. Is it painful to have skin tags removed? How many can you remove at once? Skin tags are often called benign tumours and are a common occurrence. They are easy to remove. Local anesthetic is applied to the area so the patient doesn’t feel any pain. Sometimes laser are used but it depends on the nature of the skin tag. Many patients have a number of them and we can remove many in one session. If you've had a mole for a really long time is there still a point in treating it? Moles are simple and straightforward to remove regardless of how long you’ve had them, and the same is true of skin tag removal. To remove a mole the base of it is cut out and then sutures are used to close the cut. It usually leaves a small white line as a scar. I have a mole on the border of my lip that I need to have removed. Mole removal by dermatologist or plastic surgeon? Mole removal is a short, safe outpatient procedure that can be handled safely by Dr. Crippen CCFP FCFP. How can I tell if mole is cancerous? If you suspect that your mole may in fact be a cancerous growth, you should consult with Dr. Crippen immediately. Any growth that may be cancerous should be inspected as soon as possible so it can be cured with a removal procedure. What are the best aftercare practices post-mole removal? After your procedure, you will be given after-care instructions based on the size of your mole and the treatment that you chose. Most often, those recommendations will not even require bandages. In most cases, it will be fine to return to your daily life with no significant changes. Mild, Moderate and Severe Moles: Should They All be Removed? Most moles are not dangerous but can be removed when they begin to cause discomfort or create an unpleasant look for you. There is not an official designation for ‘severe moles’, but any mole or growth that seems to be developing quickly should be seen by a doctor to determine if it is or is not cancerous. 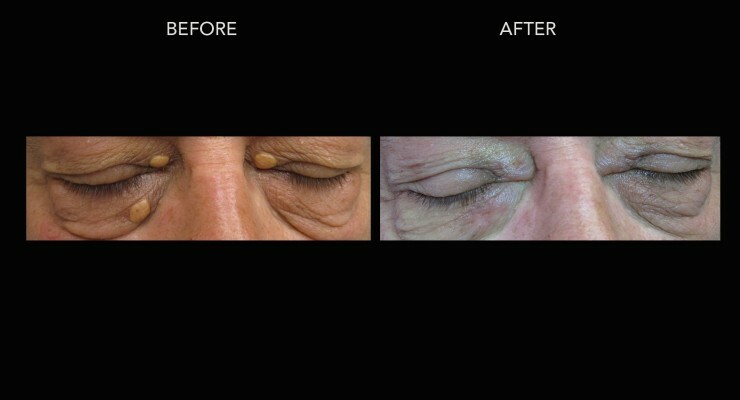 How does laser mole or skin tag removal work? Our different lasers work in different ways. 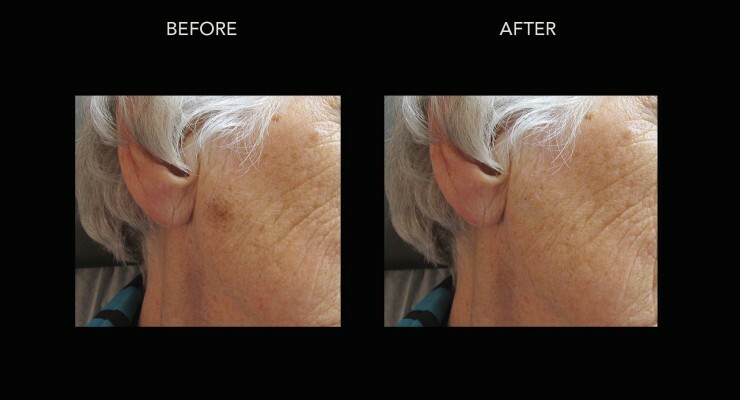 Our Erbium and Fractional CO2 lasers heat water in the skin, removing skin cells quickly and efficiently while then allowing for the skin to heal afterwards. 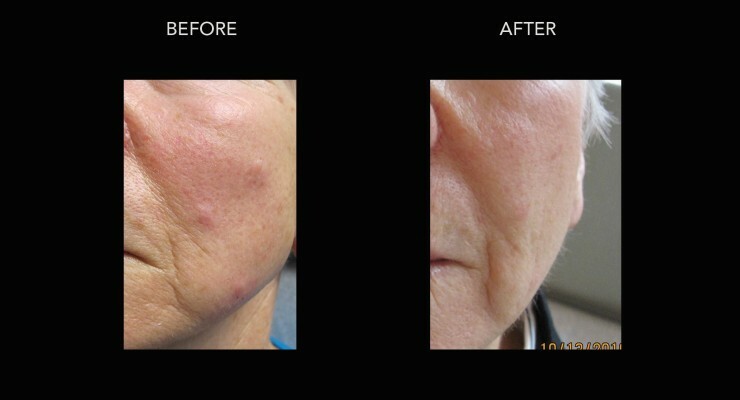 This makes them very effective for targeting small, discolored areas like moles. There are lots of different types of moles and locations of moles. You should be weary of a mole that has changed or is larger than a quarter. A doctor would be able to tell you whether you should be concerned upon seeing the mole. Removing a mole usually eliminates the risk of cancer. A mole can also be biopsied after removal to determine whether it was benign or potentially cancerous. What is the recovery time for skin tag removal? Born and raised in Ottawa Ontario, Dr Crippen has attended three Canadian Universities and obtained four educational titles including his Doctor of Medicine (M.D.). 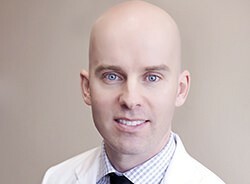 Since graduating in 2001, Dr. Crippen has continued to expand his knowledge, focusing his practice in the fields of Medical Dermatology, Vein, Laser & Cosmetic Medicine.